Free Shipping Included! 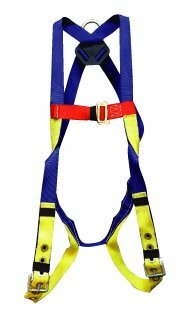 Elk River 52104 Polyester/Nylon Freedom EZE-Wear 1 D-Ring Harness with Tongue buckle, Fits Large to X-Large by Elk River at Kerinci. MPN: 52104. Hurry! Limited time offer. Offer valid only while supplies last. Elk River Freedom EZE-Wear harness. One steel D-ring: center of back. Full-strength chest strap with mating buckle connection. Sub-pelvic strap.